Pursuant to California Food and Agriculture Code Section 71071, the California Rice Commission has established assessments that shall not exceed fifteen cents ($0.15) per hundredweight for rice delivered to handlers by producers. Of the assessment, not more than seven and one half cents ($0.075) per hundredweight is assessed against producers, and the assessment rate is the same for handlers and producers. The assessments are remitted to the Commission on a monthly basis by the miller or handler. There is currently imposed and levied an assessment at the rate of 15 cents per hundredweight on all rice grown within the State of California. Of the assessment, not more than 7.5 cents per hundredweight is assessed against producers, and the assessment rate is the same for handlers and producers. Such assessment shall be deducted by the purchaser from the amount paid the producer at the first point of sale. California Food and Agriculture Code Section 71071 provides that every handler shall keep a complete and accurate record of all transactions involving the purchase or sale of rice. The records shall be retained by each handler for three years and shall be offered and submitted at any reasonable time upon written demand of the Commission or its duly authorized agent. The Commission shall provide written notice to each handler it intends to audit, and shall make reasonable efforts to schedule the audit on a date and time convenient for the handler. 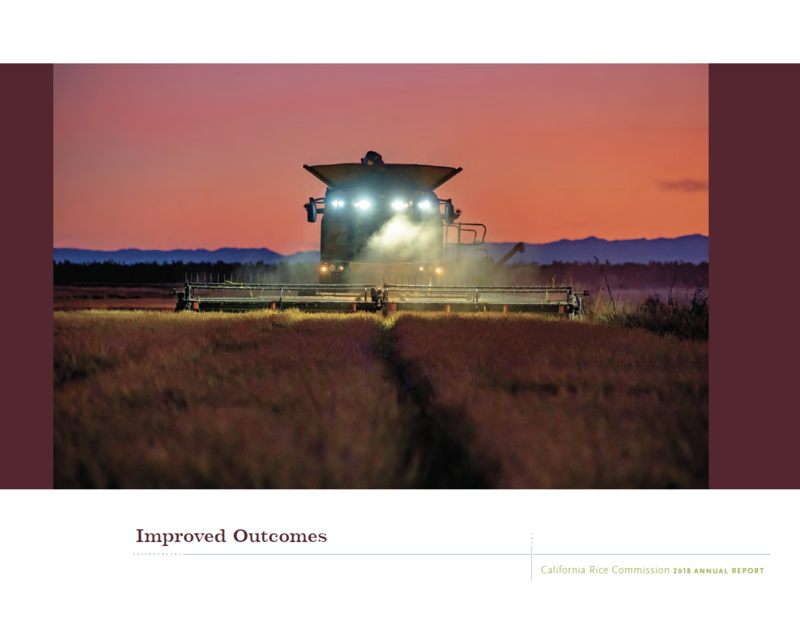 In January 2004, the Secretary of the California Department of Food and Agriculture (CDFA) approved regulations for the production of 23 rice varieties that the Advisory Board had determined to have commercial impact. Combined with this action, the Advisory Board voted to establish an assessment of $.33 per hundredweight of seed for these commercial impact varieties to offset half of the costs to run the program for this crop year. This assessment was subsequently approved by CDFA. If you sell rice identified as having characteristics of commercial impact for seed, you must pay the assessment on all such rice for seed sold by your firm regardless of the class of seed.